As all dog owners know, parasite infestation is something that all pets usually struggle with at least once a year. And, because this issue is a bit too familiar, and because we want the best for our lovely companions most of us are constantly looking for a new dog flea treatment. 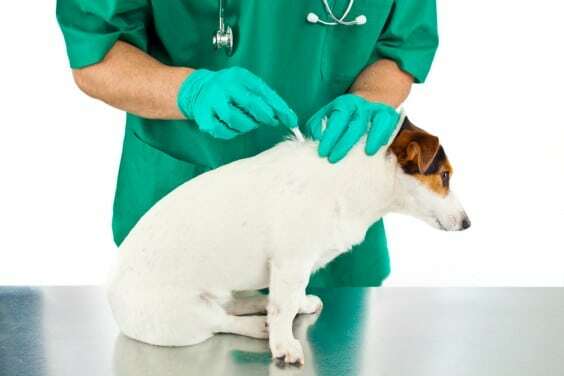 Although treatment is essential, today we are going to talk to you about how you can tell whether or not your dog has fleas. When it comes to “diagnosing” your pet, there are a couple of signs that you should have in mind. For instance, if you notice that your dog is behaving in an odd way and is continually scratching, licking and chewing itself, it might be time for a flea check. Additionally, in severe cases of infestation, a telltale sign is seeing fleas moving on the pet’s body. Whenever you feel like this is the case, the next natural step that you should take is to actually do a flea check. In order to do this efficiently, you should use a flea comb a bowl of soapy water. Next, carefully run the comb through the pet’s fur, as close as you can get to its skin. As soon as you notice any flea stuck on the comb, submerge the comb in the water in order to kill the gnat. Furthermore, apart from removing adult insects, it is important that you also get rid of their eggs. Still wondering what do dog flea eggs look like? Well, for the human eye, the eggs are difficult to spot because of the fact that they are very small, white, almost transparent round grains. Nonetheless, the eggs are the starting point of the dog flea life cycle and they usually hatch in two to twenty-one days. Once the eggs have hatched, the possibility of effortlessly getting rid of these parasites is zero. So, it is important that you catch the infestation early on and that you use dog flea killing shampoo or other similar treatments in order to eliminate the fleas. 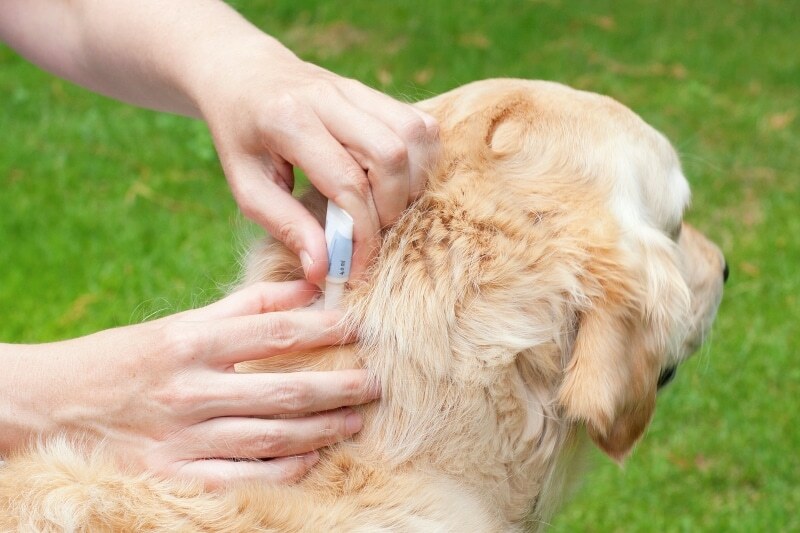 Apart from behavioral signs, another way of telling if your dog has fleas is by checking the house for signs. One disturbing but otherwise telling sign of a flea infestation is the fact that fleas do not only stay on the pet. In fact, they migrate and spread wherever the dog goes. As a result, it might be a good idea to regularly check your dog’s favorite places to rest as well as its bedding for signs of flea dirt. Anyhow, as a way of preventing any kind of infestation of this type, it is advisable that you use preventive treatments and that you vacuum weekly. Nonetheless, if after doing all that is recommended your dog is still restless and upset, it might be a good time to schedule an appointment with the local vet, as he/she should be able to determine the right line of treatment for your pet.